What to see in Hungary beyond Budapest? 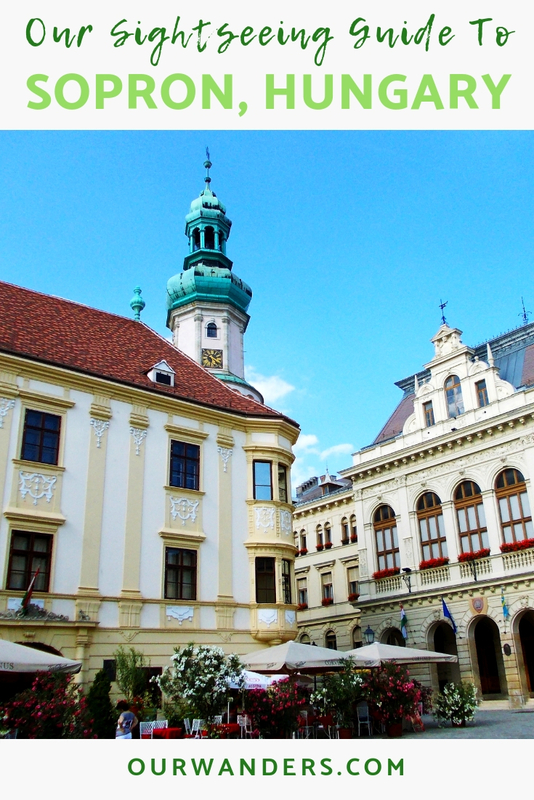 We continue our series with another favorite city of ours: Sopron. This city right by the Austrian border is called the faithful. The story in short is that by signing the Treaty of Trianon after the First World War Hungary lost 2/3 of its former territories. Sopron happened to be right on the newly defined border of Austria and Hungary and a referendum was held to decide where it should belong. And yes, Sopron was faithful and we are happy to introduce you this enchanting, romantic Hungarian city. A long time ago in an empire far far away… stood a city called Scarbantia. This city – part of the giant Roman Empire – was the ancestor of today’s Sopron. Walls and foundations from the Roman Empire are still common in the city and they blend together with the Medieval, Renaissance and Baroque structures. Actually, it’s worth walking along the ruins of the ancient city wall as we discovered the loveliest tiny streets and cafes near them. Not that it’s a hard task. Sopron’s city center is full of narrow, lovely streets: Új Street, Kolostor Street, Templom Street – just to mention a few. 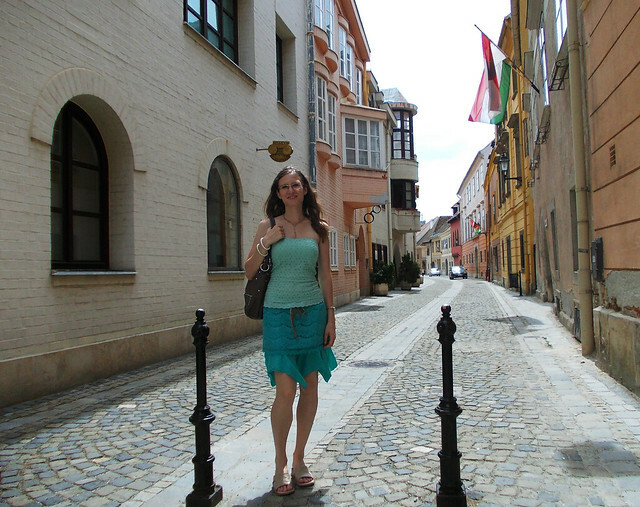 Új Street means New Street in English and in fact it’s one of the oldest streets of Sopron. If there’s only one building you visit in Sopron that should be the old Firewatch Tower. 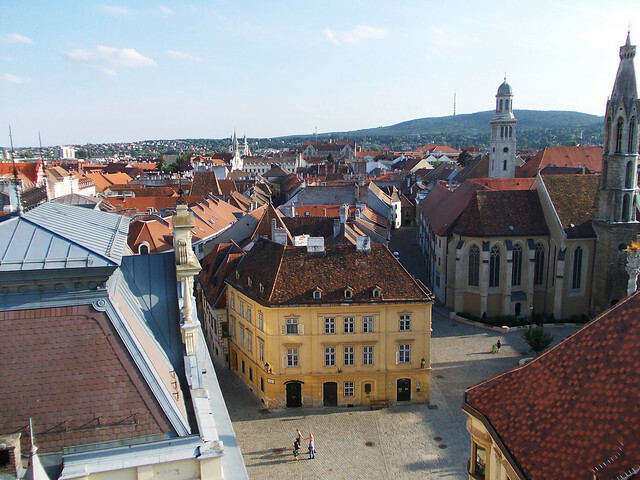 It became the symbol of Sopron and it also offers the best panorama of the city center. Try to count the church towers from above, it’s fun. The Firewatch Tower is located on Fő tér (Main Square) that is worth a visit anyway. Sit out somewhere with an ice-cream and let this charming place steal your heart. Orsolya Square and Petőfi Square are the other two highlights of the center. Do you want to taste the best chocolate? 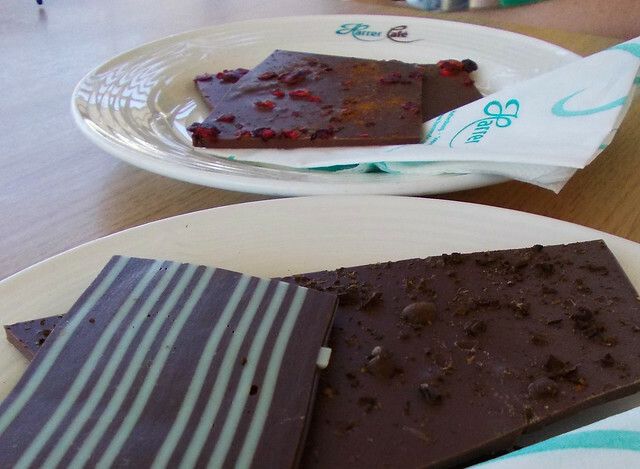 I can’t finish this post without mentioning Harrer Chocolat, a family-owned chocolate factory in Sopron. They work with their secret traditional recipes, they use natural ingredients and their chocolate is just the best! Okay, to be fair I need to add that I’m a serious chocolate addict and whenever I taste really good chocolate in that moment I always think that’s the best in the world. But if you have a sweet tooth be sure to check out this place as they have a great variety of special chocolates and you’re gonna love it! Are you the festival person? 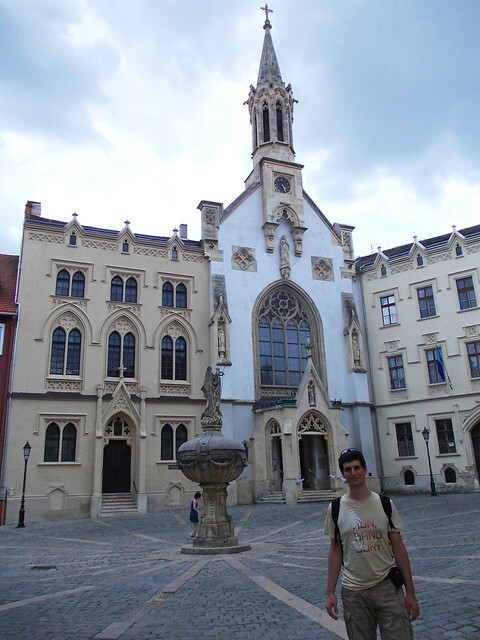 Sopron is 2.5 hours drive from Budapest and about 3 hours by train. 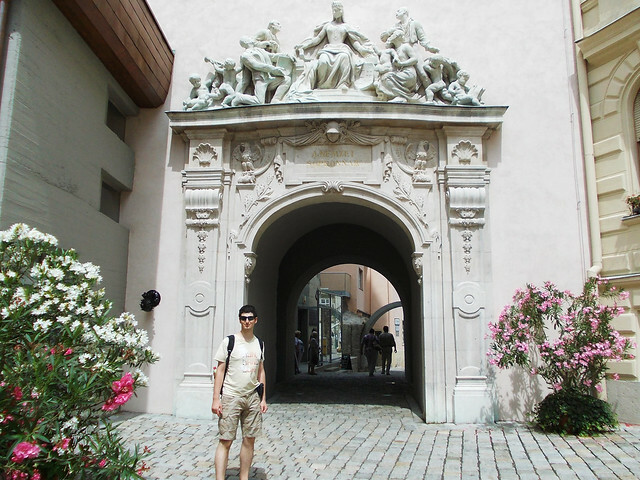 The city center is small and it’s easy to explore everything on foot. 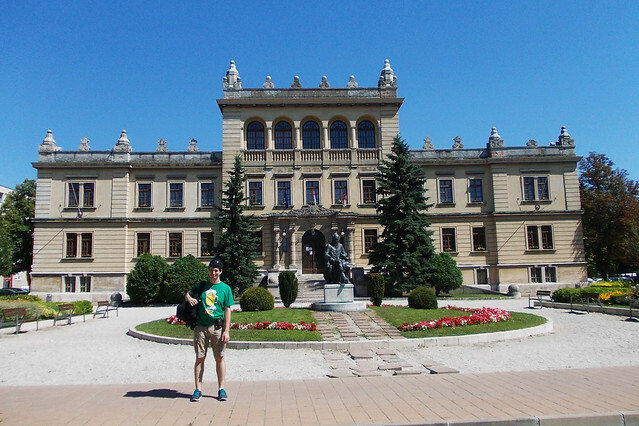 Other places worth exploring near Sopron are Széchenyi Castle in Nagycenk and Esterházy Castle in Fertőd (our favorite castle in Hungary!). So? 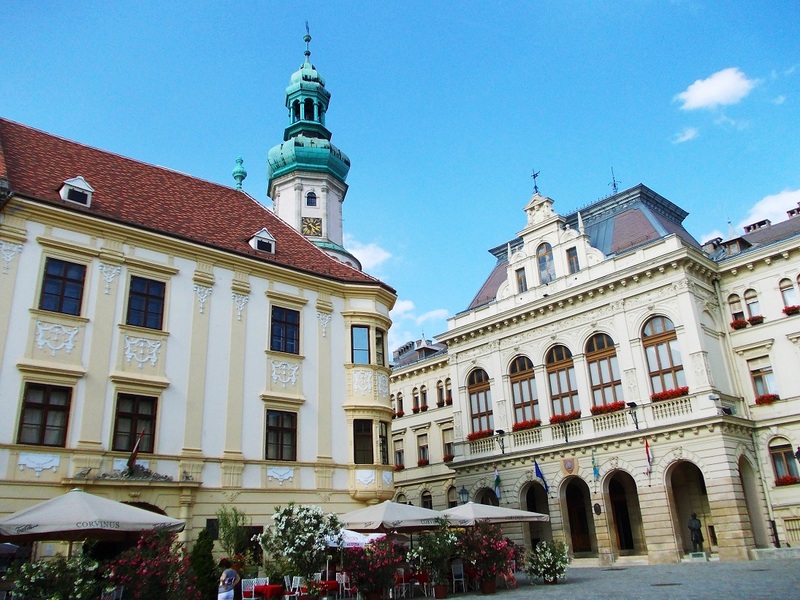 Is Sopron tempting to you?